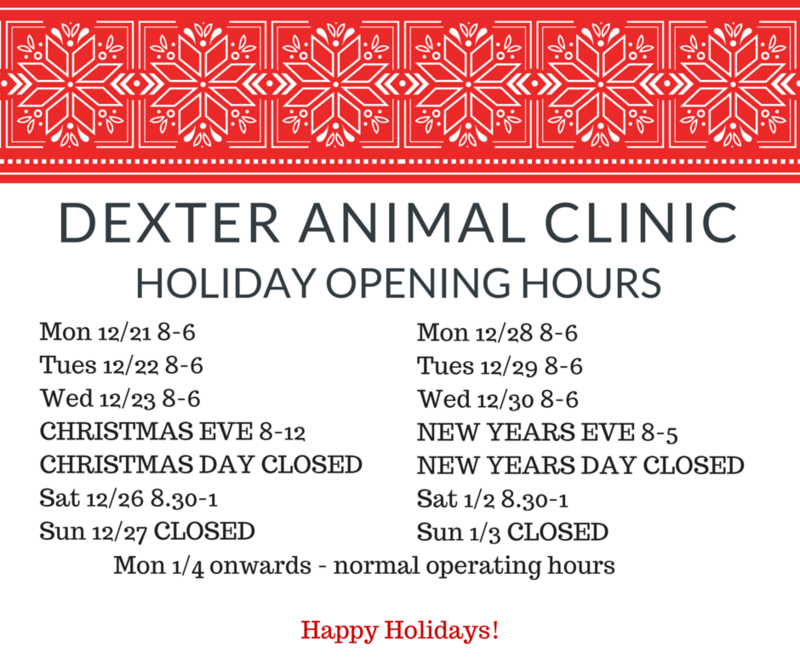 Each month, Dexter Animal Clinic offers information and special pricing on veterinary services for your pet. Check back often for news from our office! We can be your Exotic Pet Vet. Call us today! As pet owners we have so many questions about our pet’s health and care, and sometimes it is hard to know where to turn for help. Although using “Dr. Google” can be tempting, it can lead you to unnecessary worry or misinformation. If you have a concern about your pets’ health then we would always recommend that you call us for specific advice. There are plenty of people that run to the Vets every time something comes up, and we certainly understand. After all, many of us treat our pets like our children. 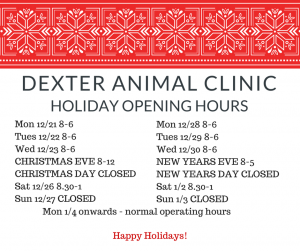 However, for those minor issues or questions that you have, we at Dexter Animal Clinic plan to periodically post questions and answers that hopefully will prove interesting and helpful in your day to day pet care efforts. Enjoy! 1) Is there a holistic approach to treating/preventing “fatty tumors”(usually benign) in dogs? Sometimes. The idea behind most dental treats is to encourage prolonged chewing in order to cause mechanical removal of tartar from the teeth. 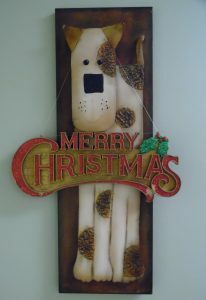 Unfortunately, some chews can be swallowed and get dangerously lodged in the intestines. They can also be too soft (ineffective) or too hard (so they cause damage to the enamel) or just very high in calories. The majority of us do use dental chews in our own dogs, but only in moderation. 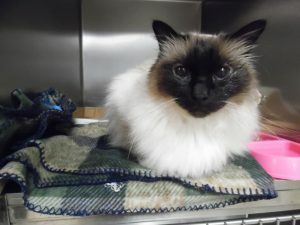 Look for veterinary-approved products if possible: (http://www.vohc.org/accepted_products.htm). Home tooth-brushing (if you can manage it!) is particularly great for reducing daily plaque build-up. Good news: February is dental month, which means 10% off your pets’ Dental Prophylaxis! Dental disease is a very significant cause of oral pain in our pets, as well as being a smelly problem. It can often go overlooked as most animals will continue to eat, play and act fairly normally despite significant dental disease – especially cats who are notorious for hiding their pain. 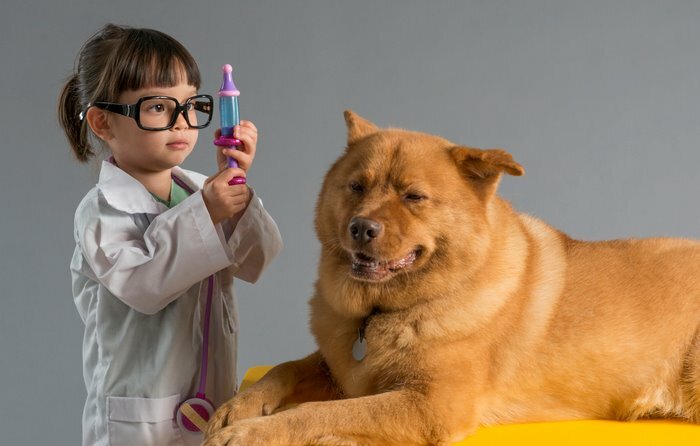 Although we try, not many of our pets are great for having their mouth examined at home! You may have been advised at some point that your pet needs a ‘dental’. But what does this mean? And why is it such a big deal? Dental disease is a BIG problem. Similarly to in people, dental disease is inevitable without good oral hygiene. What starts off as a small amount of tartar, quickly progresses to gingivitis (gum inflammation) and severe periodontal disease – affecting the tooth roots and surrounding bone. Dogs and cats show pain in very different ways to people. We regularly have pets with issues that we know are painful (e.g. tooth fractures, unstable teeth, abscesses) who still continue to eat well and appear ‘normal’. 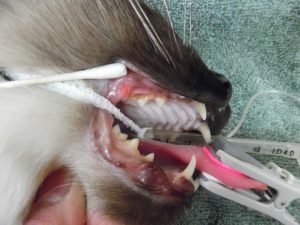 We also see plenty of dogs and cats that need very intensive dentals – multiple extractions, very long anesthetics (sometimes 2-3 hours), and end up with not many teeth at all. Our aim is to help prevent dental disease. With good planning, home care and regular veterinary interventions, we can aim to keep our pet’s teeth healthy and comfortable – and in their mouth! – for many years. The first step is a thorough dental examination by your veterinarian. Here, we will identify the ‘grade’ of the dental disease – looking at the level of calculus (tartar) and gingivitis (gum inflammation). Ideally, we examine and perform dental procedures every 1-2 years to keep your pet’s teeth as healthy as possible. Sometimes this is not feasible, and your pet may already have more severe dental disease. A good preventative dental involves a full anesthetic, radiographs of all the teeth, probing to identify pocketing and instability in the teeth, extractions as needed and then a scale and polish. We record all findings on a specific dental chart, and x-rays are archived to compare at future dentals. 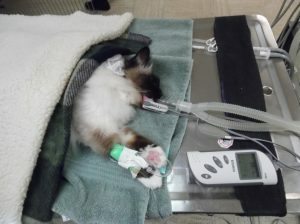 Here is Bonnie with his endotracheal tube, being monitored with a pulse oximeter and having his temperature maintained by a heat mat. 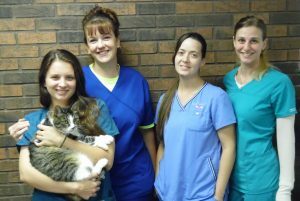 At Dexter Animal Clinic, every patient also has an intra-operative ECG, intravenous fluids and continual monitoring by a trained technician. 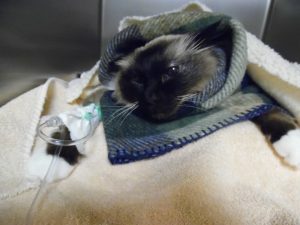 Having your pet in for an anesthetic can be scary – but with thorough veterinary assessment before anesthesia, and modern medications and techniques, thankfully anesthetic complications are rare. Dental radiographs (x-rays) help us to identify disease in the tooth roots significantly earlier than we would if we didn’t take x-rays. This means less pain for your pet, a shorter anesthetic and a less invasive dental procedure. For this reason, we take x-rays of every single tooth and the price is factored into your dental estimate. X-rays, as well as probing each tooth, help us decide which teeth are diseased, painful, or likely to progress to cause a problem in the near future. X-rays also help us decide which technique to use to extract a tooth, and to identify retained roots or other issues after extraction. We regularly perform local anesthetic blocks on the major nerves of the jaw, both to keep your pet more stable under anesthetic and to improve post-operative pain. Extractions are often surgical, involving removing a flap of gum and an area of bone over the tooth root. This technique is much less traumatic to the bone and soft tissue around the tooth roots than a ‘closed’ extraction technique. Your pet may have absorbable sutures placed to help the gum heal quickly after an extraction. Your pet is likely to come home with pain relief, and sometimes antibiotics, if extractions were needed. The mouth can be sore for a few days, but most pets do very well from 5-7 days after extraction. We have many patients with very few teeth who still crunch dry food with no problems! Regular (ideally daily!) cleaning with an enzymatic toothpaste. The enzymes in the toothpaste help to reduce tartar, even if you are not able to fully brush all the teeth. Our clients who do this well have spent lots of time building up their pets confidence – first, let your pet lick the toothpaste off your finger and then slowly build up to using a toothbrush. Even cats can get used to this, especially if you start when they are kittens. about your pet’s oral health. We have some great deals coming for December, January, and February. 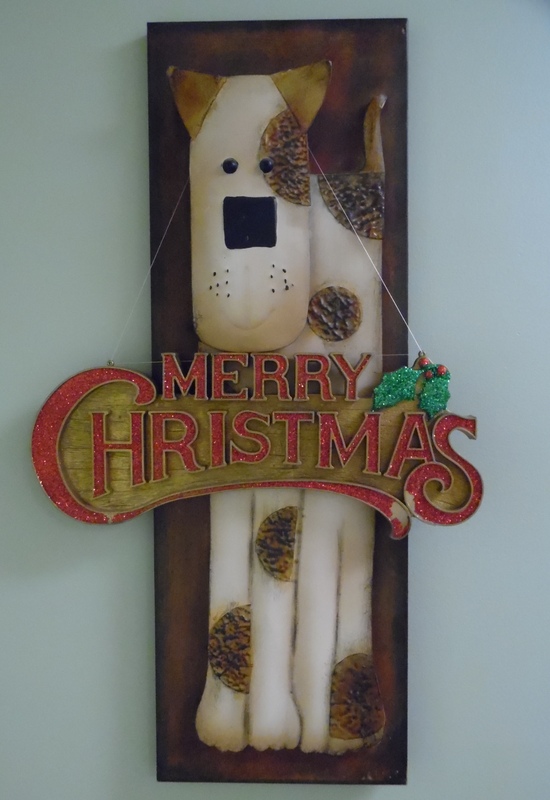 Please bring in your pets for routine blood work in December and receive 10% off. Bring the pets in January or February for routine dental work and receive 10% off. We look forward to see your pets and you. Heart Worm Check-up Time Again! Time For Heart Worm Check-ups! And with spring comes heart worm check-up time again. Call to make an appointment for your pet’s annual heart worm check-up and make sure you have plenty of heart worm preventative on hand. Ask our vets for more information. Back To Back Harsh Winters Has Us Taking Our Pets to The Vets! Another extreme winter and pet owners are bringing their pets (mostly dogs) in for frost bite and other cold weather issues. With record setting lows and wind chills, it doesn’t take long to cause your pets harm. Please limit the amount of time you leave them outside. 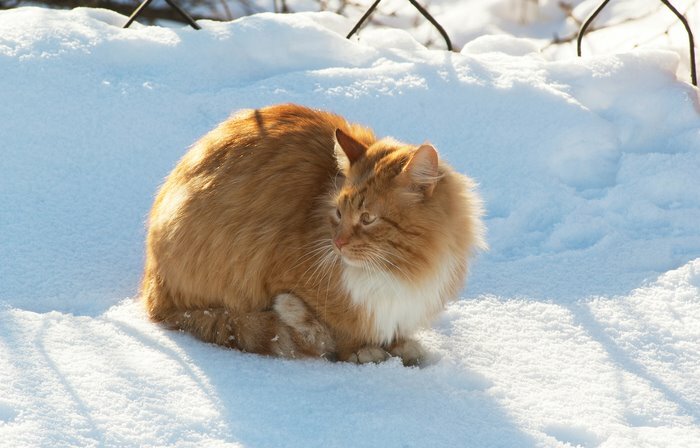 Pets with existing conditions like diabetes, heart disease, kidney disease, or hormonal imbalances (such as Cushing’s) may have a more difficult time adjusting to cold temperatures. Ice and snow are hard on your dog’s paws, so check them regularly. There are some over the counter treatments that help protect paws. You can also reduce the ice ball accumulation by clipping the hair between your dog’s toes. Be careful what you throw on your icy sidewalks and driveway. Chemicals that melt the ice can be harmful to your pets. Look for pet friendly brands to help protect your pets. 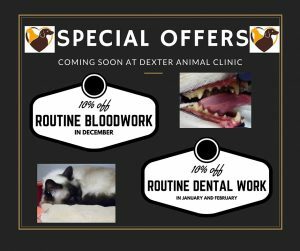 Another important reason to bring your pets to the vets this winter is our February Dental Month special. 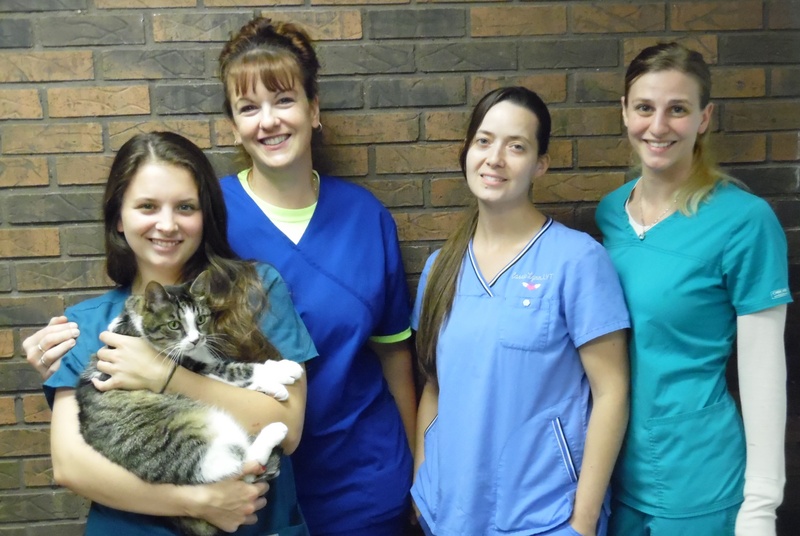 Pets get a needed teeth cleaning and owners save 10%. Call today for an appointment. If you have any questions about cold weather care for your pets, call us at 800 204-8007. 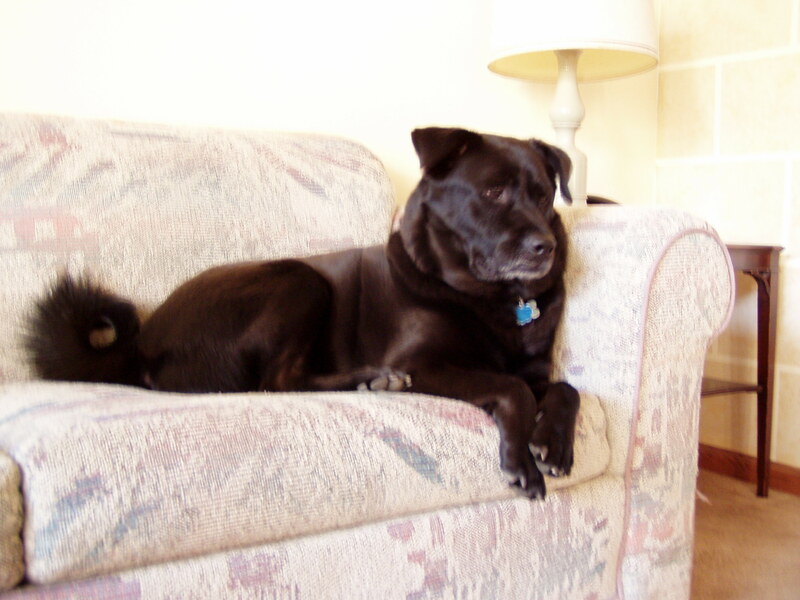 Whether your pet is a couch potato or spends most of their time outside, they need to be treated monthly for heartworm. The weather is starting to warm-up here in Michigan. If you choose to administer heartworm preventative only during mosquito season, you may want to get started for this year. We are seeing mosquitoes in our area. We recommend using heartworm protection year round. Heartworm disease is a serious and potentially fatal disease in dogs and cats. It is caused by a blood-borne parasite called Dirofilaria immitis. Although heartworm disease is more prevalent amongst dogs we also recommend you protect your cats as well. If your pet should contract heartworm disease the treatment can be hard on the pet and pet owner. It’s much easier and less expensive to give your dog or cat a preventative than to have them treated for heartworm. Call us today to schedule a blood test for your pet and to discuss which preventative would be best.